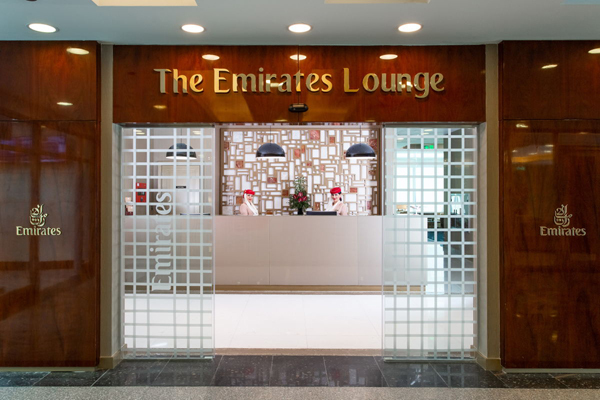 Emirates today opened its first dedicated lounge at Cairo International Airport in Egypt, making it the 42nd facility across its global network. Reflecting the airline’s ongoing commitment to Egypt, the Emirates Lounge in Cairo represents a $3.6 million investment to provide premium customers with a seamless and enjoyable journey. Catering to three daily flights, the lounge offers customers even greater levels of comfort, hospitality and convenience as they start their Emirates experience in Cairo. Located at Departure Terminal 2, Level 2, above the secondary security check and Duty Free area, Emirates’ customers can look forward to relaxing, unwinding and enjoying award-winning service and cuisine. The lounge was formally opened with a ribbon-cutting ceremony led by Engineer Ahmed Youssef, chairman of the Egyptian Tourism Promotion Board; Mohammed H Mattar, Emirates’ divisional senior vice president - Emirates Airport Services; and Thani Al Ansari, country manager, Egypt, Emirates. The interior design in the Emirates Lounge reflects a new contemporary and fresh design. The Lounge offers seating for up to 152 customers, covering an area of 880sq-m. The lounge will provide premium passengers with a relaxing ambience, luxurious facilities and amenities, LED TVs, comfortable leather armchairs, a choice of formal and relaxed seating, bespoke artwork, and separate male and female prayer rooms. To complete the travel experience, a range of luxury spa products are also available in the lounge from award-winning Irish brand Voya. This skincare line includes hair & body wash, conditioner, hand cream and hand wash.